Compiled by Thelma TenHuisen Heil Clymer, NY. ADAMS, Doris Elaine (Ross). Spouse of Leonard, Rev. Born 3-13-1927, died 12-31-2015 - Dau of Rev. Cecil and Anna (Madison) Ross, born near Corry, PA. Wed 6-26-1948 in Corry PA, five children. ADAMS, Leonard D. Spouse of Doris E. Ross. Born 12-13-1925, died 1-22-2011 - Son of Maxwell and Rose Adams-born in Uleda, PA, a minister. Wed 6-26-1948 in Corry PA, five children. APPLEBEE, David Allen. Born 10-14-1944, died 7-28-2004. Age: 59 - Son of Richard C. Sr. and Dorothy E. (TenHarken) Applebee. APPLEBEE, Dorothy E. (TenHarken). Spouse of Richard Carl, Sr. Born 10-11-1922, died 1-9-2017. Age: 94 - Born in French Creek NY, lived in Clymer NY, died in Westfield NY. Married 77 years, three children. APPLEBEE, Richard Carl, Sr. Spouse of Dorothy TenHarken. Born 1-16-1922, died 4-7-2018. Age: 96 - Son of John and Shirley (Bliley) Applebee. 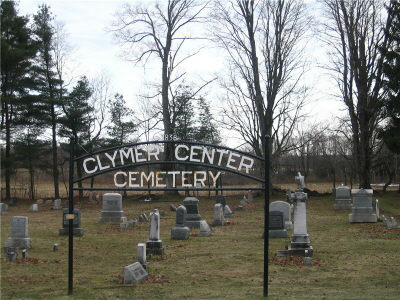 Born in Waterford PA, lived in Clymer NY, died in Westfield NY. A sawyer and a welder. Married 77 years, three children. COCHRAN, Ethel Dorothy (Lewis). Spouse of Orrie E. Born 10-1-1912, died 8-6-1960. Age: 47 - Dau of Arthur Clinton and Myrtle Ann (Fox) Lewis. Born in Erie Co PA, died in Buffalo NY. Wed 1931, at least one son. COCHRAN, Harry Ellsworth. Spouse of Minnie S. Rodgers. Born 6-8-1888, died 2-21-1971. Age: 82 - Son of Joseph H. and Phebe A. (Geer) Cochran. Born in Brookville PA, died in Sherman NY. Wed 1908. COCHRAN, Lyle W. Born 8-1-1940, died 12-5-2017. Age: 77 - Son of Everal W. and Lillian M. (Bennink) Cochran. Born in Hartfield NY, died in Erie PA.
COCHRAN, Minnie Susan (Rodgers). Spouse of Minnie S. Rodgers. Born 6-8-1888, died 2-21-1971. Age: 82 - Dau of James S. and Sarah Jane Rodgers. Born in Brookville PA, died in Sherman NY. Wed 1908. COLE, Elaine G. Spouse of William E. Born 10-9-1932, died 11-28-2015. Age: 83 - Dau of Fernando and Lillian (Wright) Smith, born in Jamestown NY, died in Erie PA. Wed 8-4-1950, five children. HANSON, Jean (Keith) Wiggers. Spouse of #1 Gerald A. Wiggers Sr., #2 Norman Hanson. Born 1-26-1918, died 2-9-2017. Age: 99 - Dau of Edgar and Erma (Mings) Keith. Born and lived in Sherman, died in Erie PA. A legal secretary. Three children with Gerald. Predeceased by both husbands. LEWIS, Myrtle Ann (Fox). Spouse of Arthur C. Born 1-1-1892, died 2-27-1924. Age: 32 - Dau of Samuel Middleton and Anna Eliza (Peterson) Lewis. Born in Lake Co OH, lived in Clymer NY, died in Warren Co PA. Wed 1910, four children. SAGER, Mearl C. Spouse of Helen James. Born 8-2-1922, died 5-5-2015. Age: 92 - Son of Chester and Maye (Bowen) Sager, lived in Chaut Co, died in Westfield NY. Wed, 39 yrs, three children. SMITH, Kaye L. Born 7-25-1958, died 1-28-2014. Age: 55 - Dau of Charles and Margaret (Olmstead) Smith. Worked for the Seriff's Department. TECULVER, Matthew R. Born 1-15-1991, died 2-14-2016. Age: 25 - Son of Wayne and Capri (Schurman) TeCulver. Born in Jamestown NY, lived in North Clymer NY, died in Erie PA from injuries incurred in a snowmobile accident. THOMPSON, Grace Clara (Lewis). Spouse of Stanley E. Born 1918, died 2000 Dau of Arthur C. and Myrtle A. (Fox) Lewis. WEEKS, Norma J. (Newhouse). Spouse of Leslie A. [Tab]. Born 12-27-1928, died 2-15-2008. Age: 79 - Dau of Fred and Lucy (Buesink) Newhouse. Wed 9-15-1951, four children.